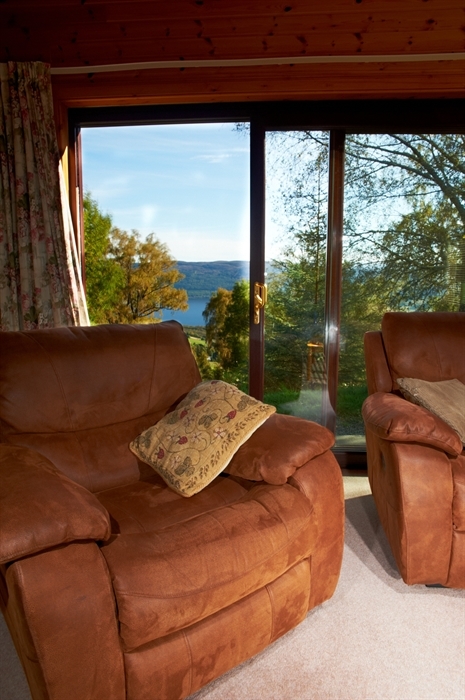 Stay with us and enjoy the scenic beauty of the Loch Ness area. 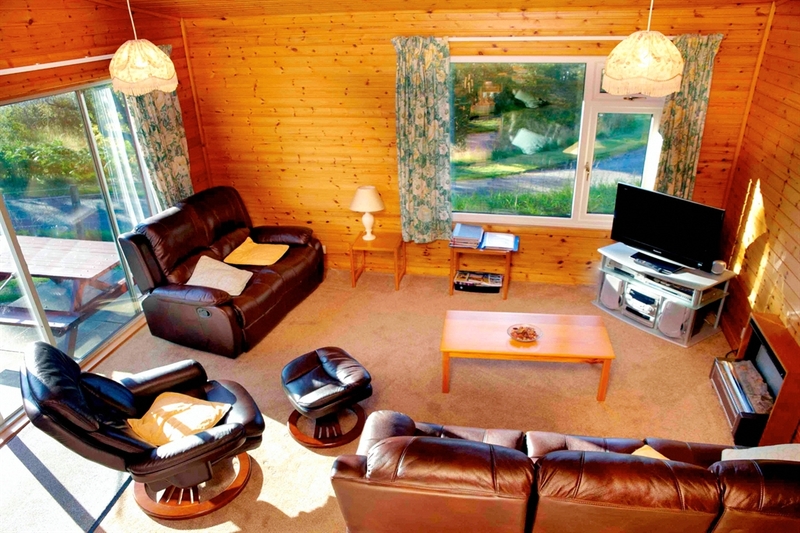 We are situated three miles by road from the village of Drumnadrochit, which is on the A82 on the west side of Loch Ness fourteen miles south of the city of Inverness. The village has several hotels and pubs, restaurants, shops, Post Office and Bank and is home to two Loch Ness Monster Exhibition Centres. Our lodges, to which many guests return time and time again, are in the countryside but convenient for the city "bright lights" so have something to offer all types of visitor. 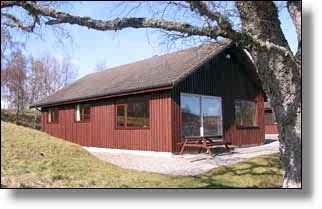 There are five spacious quality holiday lodges (Graded Four Star Self-catering) set high on the hillside above Drumnadrochit and Loch Ness offering very comfortable accommodation for a refuge of peace and tranquillity or a convenient centre for touring, walking, cycling, bird watching, fishing, golfing or horse riding. 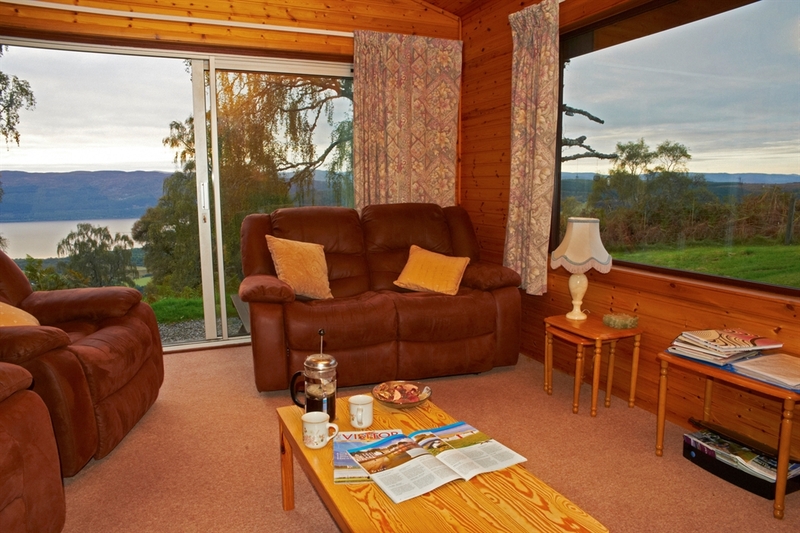 Each substantially built lodge extends to 96 square metres and accommodates up to six guests as follows:- Lodge Nos 4 and 5 are situated near the top of the hill with patio doors looking out on spectacular views over Loch Ness. Lodge No 3 is situated on the same site as Nos 4 and 5 but is apart from them with its own access and is separated from the others by trees and bushes. They all have 1 Twin Bedroom with wash hand basin, 2 Double Bedrooms, Bathroom, Shower-room with w.c., spacious lounge with TV etc, dining area and fully equipped kitchen including full cooker, washer/dryer, microwave, coffee maker, fridge, freezer and dishwasher. 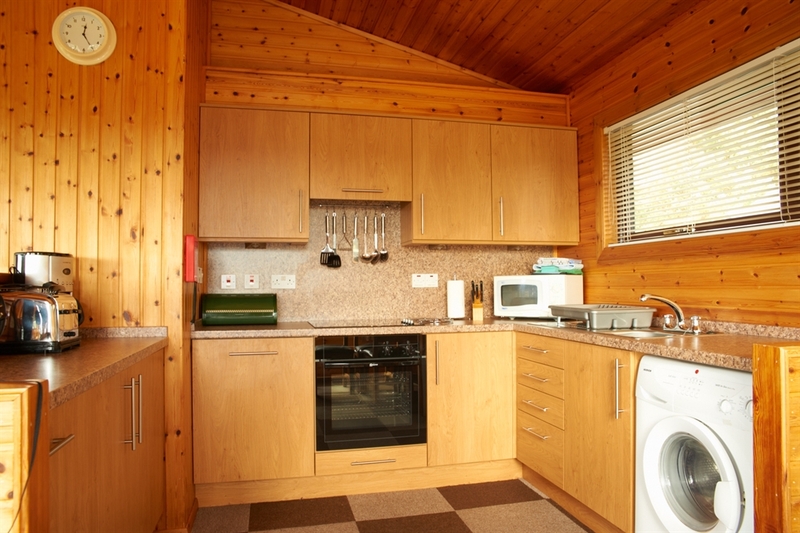 Type A Lodges - Nos 1 and 2 are on individual sites and have patio doors and windows looking out on the magnificent scenery of the surrounding countryside. 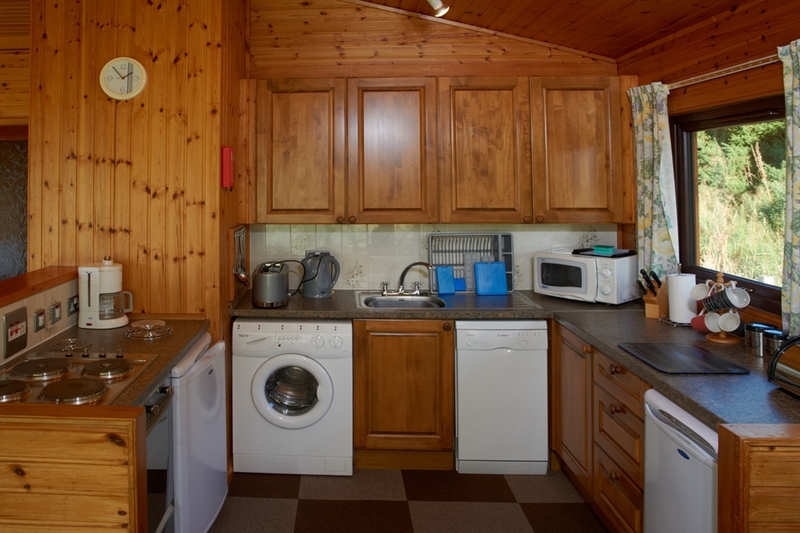 They both have 1 Twin and 2 Double Bedrooms all with wash hand basins, Bathroom with shower over bath, spacious lounge with TV, dining area and kitchen with full cooker, washer/dryer, microwave, coffee maker,freezer,fridge and dishwasher. Linen and Towels included. Cots and High Chairs available at no charge. No Smoking. 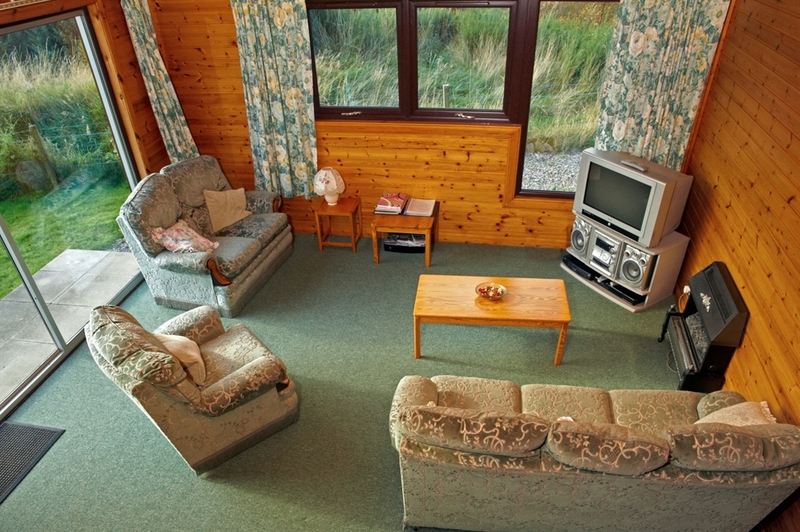 No Pets or Non Paying Guests permitted in or around the lodges. 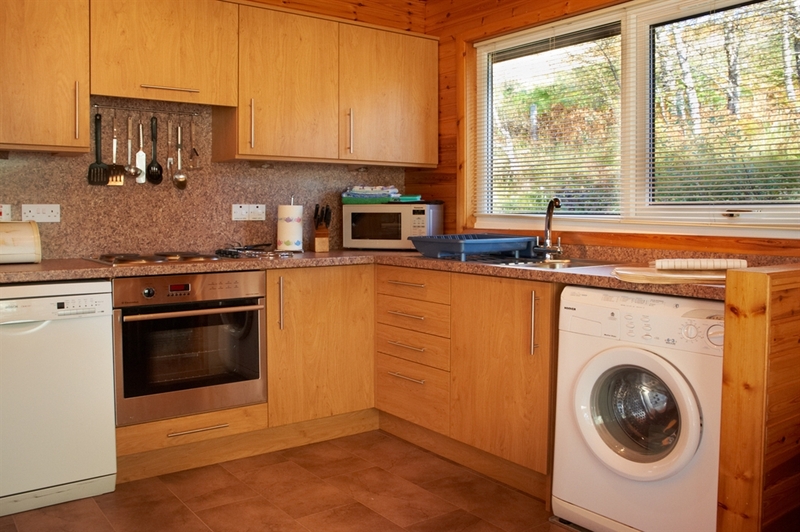 All lodges are identical externally All lodges are identical externally Fully equipped kitchens in all lodges Comfortable living area seating 6 guests Lodges 2,3, 4 & 5 have just been fitted with new fully equipped kitchens. 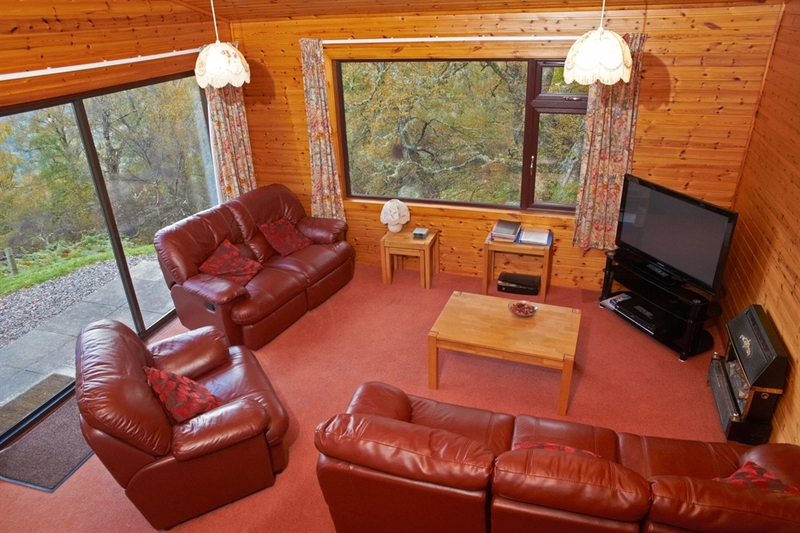 Comfortable living area seating 6 guests Lodges 2,3, 4 & 5 have just been fitted with new fully equipped kitchens. 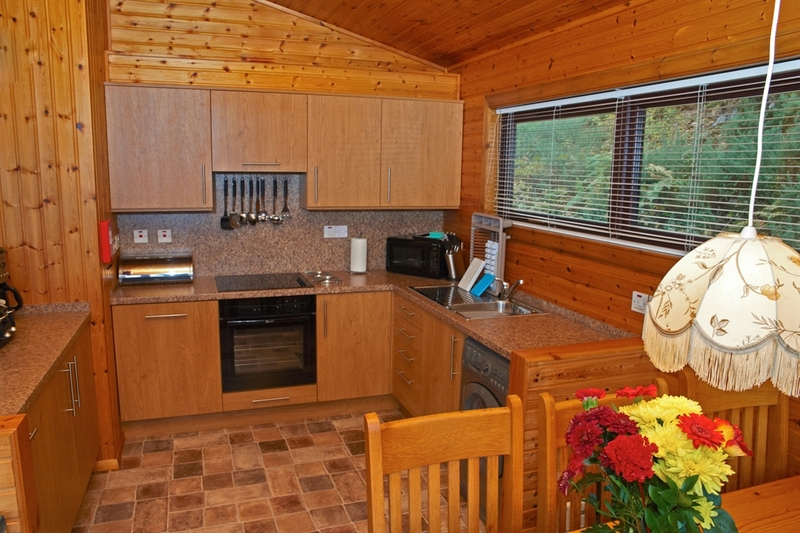 Comfortable living area seating 6 guests Lodges 2,3, 4 & 5 have just been fitted with new fully equipped kitchens. 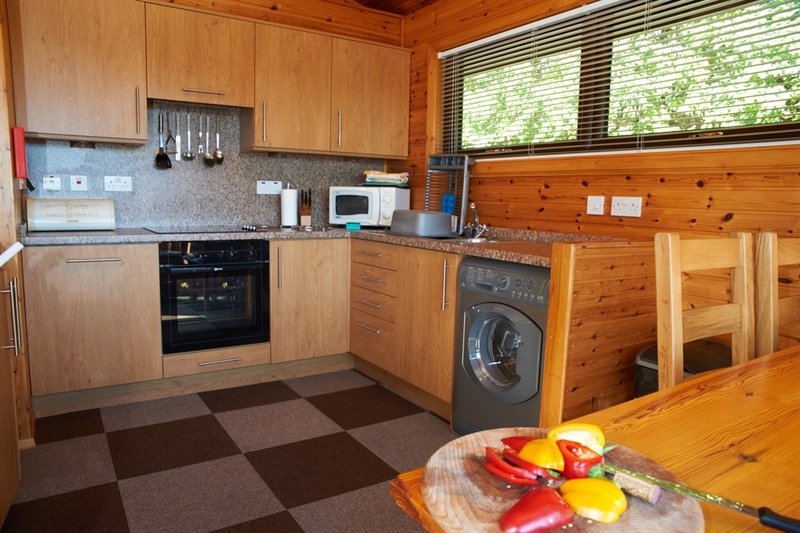 Comfortable living area seating 6 guests Lodges 2,3, 4 & 5 have just been fitted with new fully equipped kitchens. Comfortable living area seating 6 guests.